Bike riding in Dublin, Ireland. BikeCommuters.com > Articles > Bike riding in Dublin, Ireland. So the Mrs. and I are planning a trip to Dublin this November to what all the hoopla is all about with the Irish. While preparing for our trip, I checked out information on the weather. For starters it rains there quite a bit and their summers would be considered their rainy season. In addition, the hottest it ever gets there is about 74 degrees…sounds like my kind of place! Anyhow, being a resident of Southern California where it’s always warm and sunny, I’m afraid I would be in for a shock on how cold the weather will be when we’re there. I do plan on taking a bicycle around Dublin to see the sights as well as to get a feel for the local community. But before I do that, I figured I’d get some cold weather gear I saw a jacket that might keep me dry and somewhat warm and have the options to allow me to cool down if I get to hot under it. 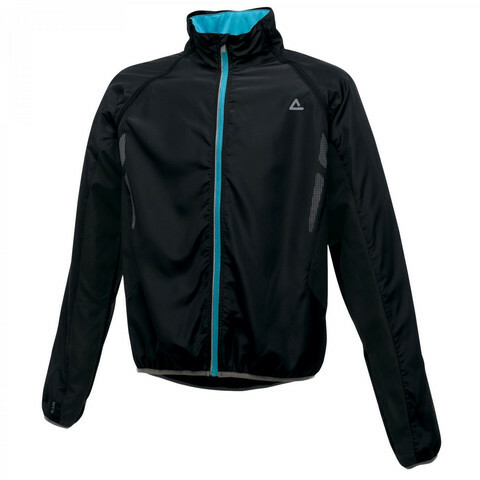 It’s called the Dare 2b Mens Scampered Windshell Jacket offered by High Octane Sport. The Dare 2b Men’s Scampered Windshell Jacket offers the ideal solution to mixed weather conditions- perfect for the British weather! So why would I bother ordering a jacket from a UK website like High Octane? Well the way I see it, if this Dare 2b Jacket is good enough for UK folks, then I’m sure it’s going to work well for me. I guess it’s the way I see things when it comes to products. For example, you wouldn’t buy a Mexican Food in Ohio because Mexican Food in Los Angeles…or better yet, in Mexico would be better right? It’s the same with this jacket, make sense? I figured I’ll order the jacket before we venture out to Dublin, that way I’ll be good and ready for the weather once we arrive. Firstly, Dublin is in Ireland. Ireland is not part of the UK. Be careful with that distinction – it has been known to cause some issues. Secondly, November in Ireland is going to be wet and cold. It’s typically 45 deg F and it rains for more than half the month. The jacket you mentioned is a windproof only good enough for withstanding the kind of late spring/summer/early autumn shower where it’s only just raining but not enough that you’d stick a waterproof on. In my experience of Ireland and for that matter the UK, that’s rare weather in November and if you wait 5 minutes you’ll get different weather. If you are going to do any cycling, bring a waterproof. Something like an Endura Helium if you want lightweight or one of the Gore Bikewear 2.5 layer breathables. Also bring full gloves, decent socks, winter tights and some layers if you’re out on a proper bike ride. Shoes without holes in would be good. I’ve had friends over from California who’ve come out riding with shoes we wouldn’t even wear in summer. Dare 2b are also a bit of a budget cheap brand – you get what you pay for essentially. Saying that, if you’re only spending a brief few hours around Dublin and it’s not raining then a cheap windproof is pretty useful over some warmish normal clothes. That seems like a really good price for a rain jacket. I would strongly urge a better rain jacket than this for the rains of Dublin (from a lifetime of visits to the city I was born in). A windbreaker will not stand up to the Dublin rains (and yes, you are close to the peak of rainy season when you are there).